Can you get free horses in Red Dead Online? Where Ultimate Edition owners can grab their free horses in Red Dead Online. If you recently jumped into Red Dead Online, you may be wondering whether or not you can get free horses. As of right now, only players who purchased the Ultimate Edition of Red Dead Redemption 2 can unlock free horses in Red Dead Online. Note that even if you didn’t purchase the Ultimate Edition, you can earn a horse by completing the mission, Honor Among Horse Thieves. After that, you’ll need to spend money to purchase additional horses and equipment. If you purchased the Ultimate Edition and are wondering where to get your free horses, we’ve got you covered! Gamers who purchased the Ultimate Edition of Red Dead Redemption 2 can unlock two free horses in Red Dead Online. As stated above, if you purchased the Ultimate Edition of Red Dead Redemption 2, you can get horses for free in Red Dead Online. While this is certainly helpful, especially if you’re short on cash in Red Dead Online, many have noted that they can’t seem to find where to get their free horses. To get your free horses, you’ll want to visit the stable at the beginning of Red Dead Online. There, you can sell off the horse earned in the Honor Among Horse Thieves mission. After that, you’ll be able to pick a new horse for free out of two breeds, Thoroughbred or Arabian. After you unlock a second stable stall, you can then grab your second free horse. Again, your choice is limited to Thoroughbred or Arabian. 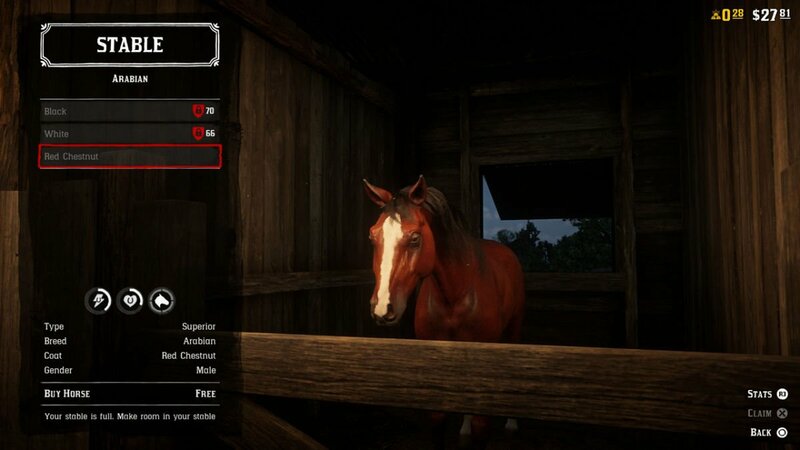 Your two free horses are available at your stable as long as you have the space available in Red Dead Online. However, both of these horses have better stats than the one earned through the Honor Among Horse Thieves mission, meaning that you’ll definitely want to take the time to redeem them. Again, if you didn’t purchase the Ultimate Edition of Red Dead Redemption 2, you’re relegated to the horse earned through the Honor Among Horse Thieves mission and that’s pretty much it. You can unlock additional horses and stables in exchange for money, but the option to redeem either the free Arabian or free Thoroughbred won’t be available. 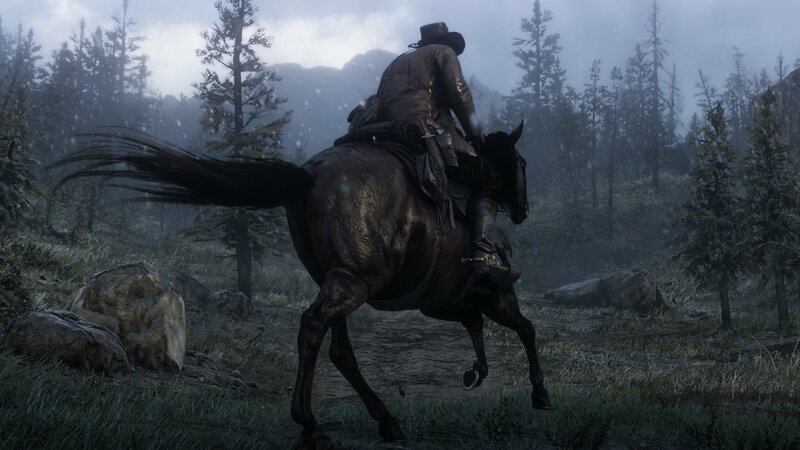 For Ultimate Edition owners, both of your free horses are redeemable through your local stable as long as you have room available. So, were you able to redeem your free horses in Red Dead Online? Which one did you pick first? Let us know down in the comments below! For more on Red Dead Online, be sure to check out some of our previous guides including how to join a posse in Red Dead Online, how to unlock free roam in Red Dead Online, and what error code 0x20010006 means in Red Dead Online. By reading through this guide, you should now know whether you can get free horses in Red Dead Online.